P14: Single: Is This Today? “Internet Sarcasm” is the fifth Pin album. Unlike it’s predecessor, “Product #8,” it is quite long. That’s ok though, because it’s also quite good. Sometimes you can have too much of a good thing, but in this case, it’s juuuuuuuuust right. So that’s good. If you like electronic music you might want to give this album a try. If you don’t like electronic music, you may not be on the right website… because Pin make electronic music. And this is the Pin homepage… Do people even say “homepage” anymore? I can’t seem to recall the last time I heard that term. Many thanks to anyone who has traveled through time to enjoy this musical production. Your efforts did not go unnoticed. “Faster, Tastier, & Above All EASIER” is the new, lead-off single from the forthcoming 2015 album “Internet Sarcasm.” The single comes complete with a smashing b-side! How lucky you all are! If you so desire, you can watch the video for the single by CLICKING HERE. Please enjoy this single responsibly. New video for the new single: Faster, Tastier, & Above All EASIER! Welcome to the all new Pin homepage (ver. 6.0 since the year 2000). It’s not as pretty as the old version, but it’s easier to maintain, manage data, and so on. So that, at least, is something. And the best part, of course, is that there is new stuff for you to see and hear. 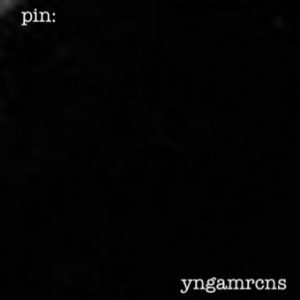 First off: There is some new news: There is a new Pin album currently in production, slated for a late 2015 release. It will probably be preceded by a single. In the mean time, there is a current pin single, called “Tack” for you to enjoy. Tack is a fine single. It revels in the space between simplicity and complexity. The idea was to make a very simple sounding song, that appeared to become more complex the more closely one listens to it. It was very fun to make. Perhaps it will also be fun for you to listen to? It’s hard to say, but we certainly hope so. Stranger things have happened (or so they say… I’m not entirely sure about that though). The first of the two collections is a very nice “Best-of Pin from 2000 to 2014″. If you think that, possibly, you might be interested in Pin’s particular range of electronic music, this would be a very good place to start. This collects material from every Pin album from “001” to “Product #8” as well as material from the singles. If you downloaded these songs and decided that you liked them, or if you are one of those fine people who are already familiar with the main elements of Pin music. Why not try our second compilation? Perhaps you might just enjoy that too. Anything – after all – is possible in this strange world. The second compilation is a collection of remixes and b-sides from 2000 to 2014. There are a number of remixes of Pin songs, by Pin and by other artists in this collection. There are also b-sides from the singles. And there are unreleased songs and instrumentals. We hope you enjoy listening to these fine songs as much as we enjoyed making them.Thank you very much for your time and consideration. Below this post you will posts covering the individual items of the Pin discography from 2000 to 2014. Perhaps you will find that interesting? Who is to say? “Tack” is the new single from PIN for 2014. “Tack in” is the b-side for the new single (“Tack”) from PIN. Together, “Tack” and “Tack in” comprise the new release from PIN. To the right of this text is the cover art for the single “Tack”, the new release from PIN. Below this text is the full booklet for the single “Tack”, the new release from PIN. We hope you enjoy “Tack”, the new release from PIN. “Re-Mixes + B-Sides” is the first compilation of Pin B-sides & Remixes. It also includes some previously unreleased tracks and instrumentals. This collection is a companion to the best-of early Pin collection. “Best Old Pin Tracks” is the first Pin “best-of” collection. It compiles the 23 best pin tracks from 2000 to 2014, including the new 2014 single “Tack.” These are very nice songs. 07 WHAT IS YOUR FATE? “Product #8” is the fourth Pin album. I think it is quite good. Each track represents a different working process… fun right? Would you like to SEE THE PRETTY ALBUM ART? Would you like to READ AN INTERVIEW ABOUT IT?